Oak and are naturally bacteria-resistant. 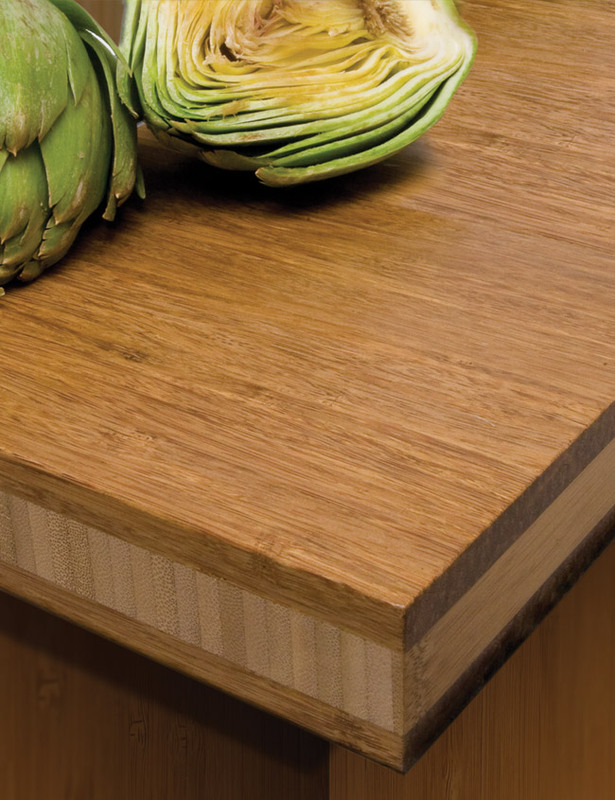 Teragren’s strand bamboo countertops are ideal for any application where traditional hardwood surfaces might be used, including tabletops, desktops, and other residential or commercial applications. With a beautiful hardwood-like grain on the surface and a striking traditional bamboo core, these unfinished countertops are ready to be fabricated and finished to your taste. 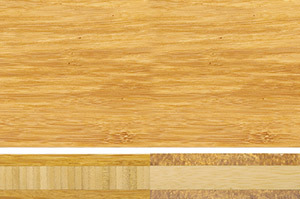 • Durable strand bamboo surface is twice as hard as maple. Due to its hardness, this product is not recommended as a cutting surface as it has a tendency to dull knives. • Optimum 5.5 Moso Bamboo: Harvested at maturity for peak density, creating a harder and more stable product for lasting beauty and performance, while also making them naturally bacteria-resistant. • Fabrication and finishing needed to suit. Standard hardwood finishing guidelines apply. Teragren LLC warrants that our Worktops will not delaminate or separate as a result of a manufacturing defect during the Warranty Period. Teragren further warrants that the Worktops are free from defects in material and manufacturing when used for their intended interior application. Ensure worktop is maintained at 35-55% relative humidity throughout fabrication and installation. 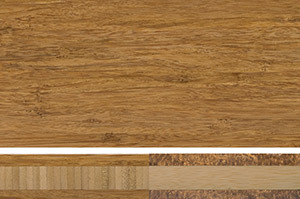 Bamboo, like hardwood, may expand or contract when exposed to high or low relative humidity. Standard hardwood woodworking guidelines apply, carbide tipped tools recommended. Look for AWI-certified fabricators and installers when choosing a Teragren worktop. Pilot holes, pre-drilling, oversized slots for screw inserts, panel clips or other methods that allow for expansion and contraction are necessary for unrestrained applications and countertops. Finish must be applied equally to all sides and edges, including the bottom, to maintain a balanced product.